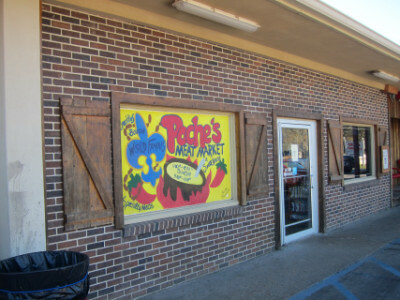 Poche’s has become one of the best known places to get Cajun food, having been featured on Globe Trekker as well as countless travel books and guides. Located a few miles east of Lafayette, Louisiana, I watched in mid-morning as much of the local community and possibly a few tourists such as myself congregated at this “market, restaurant and smokehouse” for its popular plate lunches, with even more people picking up Poche’s famous sausage and other items to go. 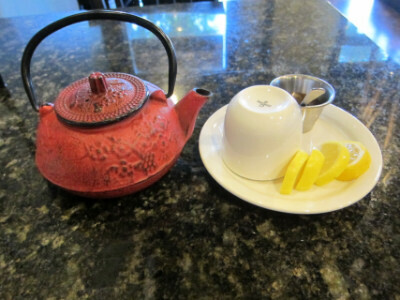 One of the best aspects of it is that it is not a tourist destination, but it provides an insight into the local Cajun culture which is steeped in tradition, nowhere more evident than in its food. The food served here requires hours of preparation for most items, mainly because most items contain sausage or other types of smoked meat. 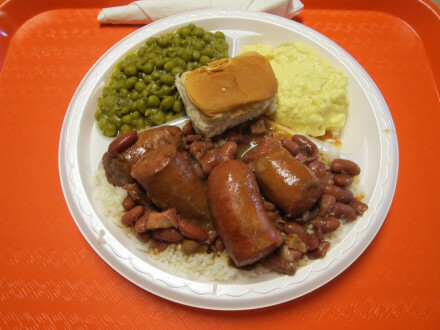 I can say that sausage is the best item here, but really it is the delicious dishes that contain sausage and other smoked meats such as the richly flavored red beans and rice (served as a plate lunch on Mondays) or the gumbo (a seasonal dish served in the winter). 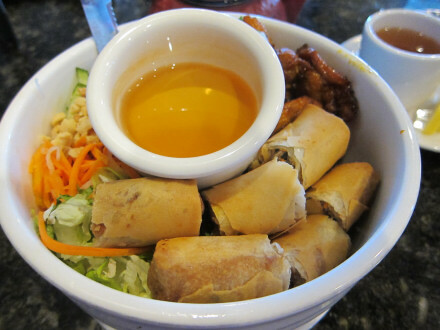 I feel that I hit the jackpot by being able to try both of these dishes, but I am sure there are others that are equally good. 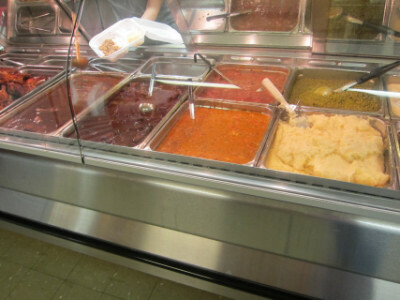 The plate lunches, served from 10:30 AM to 2:00 PM, are arrayed in a counter where you can pick out a main dish and two sides. This is served daily, with a different menu each day of the week. Dinner is served after 2:00, with the same menu every day. 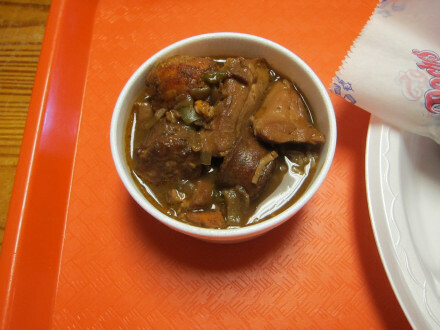 Seasonal specials, such as the gumbo, are available all day until they run out, and do not come with side dishes. I was happy I came during the time they had plate lunches. Not only are they reasonably priced, but I got to see a sample of true Cajun food even though I was not able to try everything. The Red Beans and Rice plate lunch was something I was able to try, and found that the sausage in this dish is probably my favorite (the menu just calls it “Sausage”). I loved the flavors of this dish, and thought that even without the sausage this would have been the best example of red beans and rice I have tried. This was one of the items on the Monday menu, though, and is only available for a three and a half hour period once per week. (The ladies told me, though, that you can go earlier than 10:30 and still get many of the plate lunch items). I ordered Gumbo thinking that it would be a light lunch (really breakfast for me), but the generous servings of meat in it provided a quite filling meal. It appears that they sometimes vary the meats, but this one had chicken, sausage, and tasso (all were excellent). The flavor of the roux, though, made this the best dish I tried and quite possibly the best dish at the restaurant. 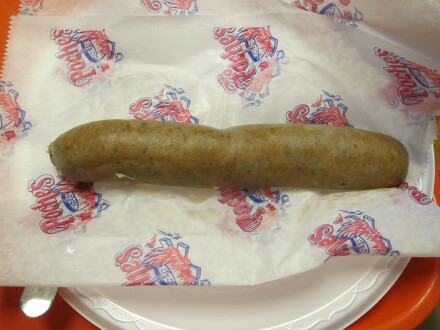 Although I really did not have the appetite for it, I did not want to miss a chance to try Poche’s famous Boudin sausage. There is no doubt they know what they are doing in their sausage making, although being the first time I had tried boudin I don’t have any others with which to compare it. Poche’s also sells food (mostly smoked meats) to go, and a good selection of grocery items including some specialty items such as Poche’s Pralines. Many items are also available by mail order. 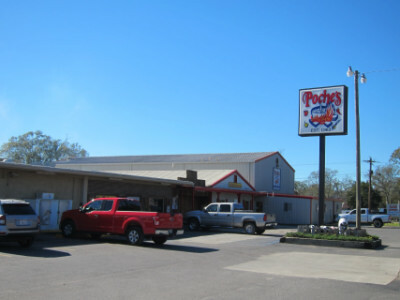 In my opinion Poche’s is the quintessential example of Cajun food, much as Chope’s is for southern New Mexican cuisine. I have not tried very many other Cajun restaurants, and I am not sure Poche’s is the best, but I believe it is enough to demonstrate what Cajun food can be if prepared properly. 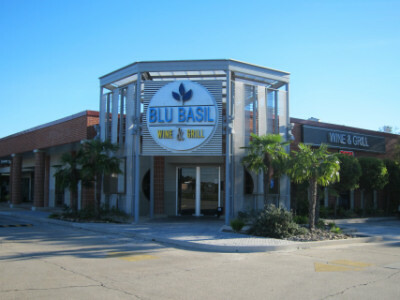 The rating for this restaurant (one of the highest I have given to any restaurant) is based on the fact that the right combination of ingredients (such as in the gumbo or red beans and rice) provided an experience as enjoyable to me as a top quality steak or similar examples of other cuisines. I do not say that Cajun food is better than other cuisines, but prepared as it is at Poche’s it can certainly be equal to others. The fact that the gumbo is a seasonal dish and red beans and rice are only served on Mondays causes me to be a little cautious in determining the rating, but I am still confident that other dishes are of similar high quality.